After many miles of testing the VoltBike Yukon 750 Limited it has proven to be a powerful eFat bike with impressive range and overall value. With its 4″ wide off road tires and 750 watt motor it is ready for almost any kind of riding; sand, snow, mud, and pavement for everyday commuting and exploring. Its 48V 16ah lithium battery gives the Yukon 750 Limited impressive range (see range test results below) so you can feel confident getting out for longer rides. At $1,799 + $49 shipping the VoltBike Yukon 750 Limited offers a lot of value when considering the high capacity battery, powerful motor, quality components, and well rounded accessory selection (which includes a helmet). The powerful VoltBike Yukon 750 Limited electric fat bike is in for testing & review! The Yukon 750 Limited features a 750 watt motor, high capacity 48V 16ah lithium battery, Tektro hydraulic disc brakes, and a full assortment of accessories. 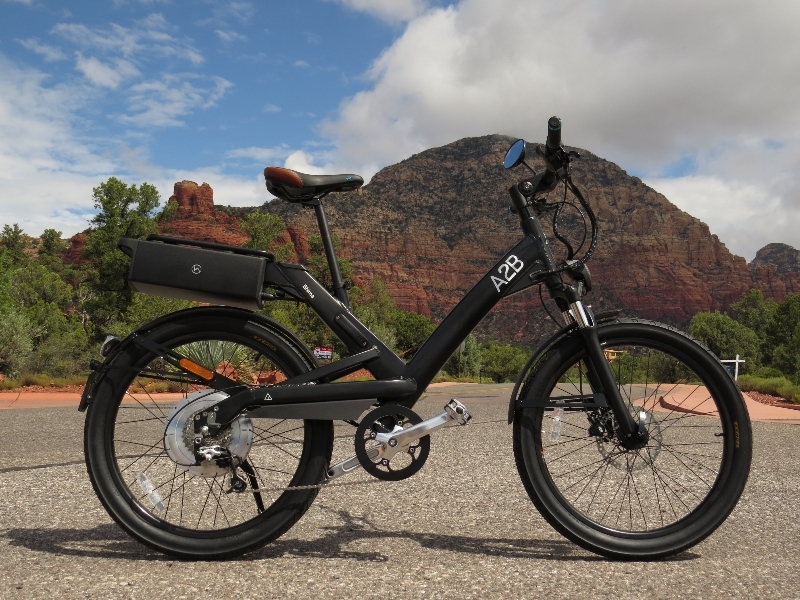 The VoltBike Yukon 750 Limited is priced at $1,799 + $49 for shipping anywhere in the US or Canada. That price also includes a helmet. The Juiced Bikes RipCurrent S is a fast, powerful, and stable eFat bike that is a solid daily commuter and off road adventurer. It is an eFat bike that has impressive range capabilities along with high performance riding of up to 28 mph with pedal assist. With pricing starting at $1,699 the RipCurrent S packs in a lot of value with the solid aluminum frame, high capacity battery, powerful Bafang motor, Shimano drivetrain, hydraulic disc brakes, and full accessory package. The new Juiced Bikes RipCurrent S fat eBike commuter is in for testing & review! The RipCurrent S is an interesting combination of fat tire (4″ wide) eBike with up to 28mph of pedal assist. With its full assortment of accessories it is ready for the daily commute and adventure ride almost every kind of terrain and weather. Just some of the highlights are high capacity lithium battery options, a 750 watt hub motor, suspension fork, hydraulic disc brakes, pedal assist & throttle, and much more. The Juiced Bikes RipCurrent S pricing starts at $1,699 with free shipping (mainland U.S.) and they have a month payment options as well. Getting you from point A to point B…….quickly! The A2B Shima is all about getting you around town at car like speeds (28 mph) but with all of the advantages and fun of a bicycle. This is part 1 of the fast (28 mph) A2B Shima electric bike review and it will give you an idea of what this e-bike is all about with a bunch of pictures and info on the specifications. The Shima is a high speed pedelec (pedal assist) electric bike with a solid mix of high end components and unique features like a wireless electronic key! The Shima is priced at $3,799 USD at the time of this review. 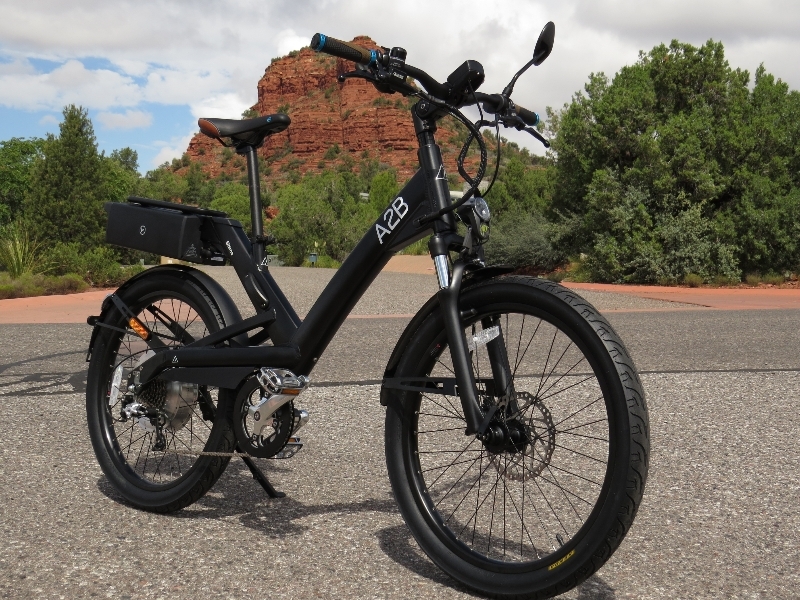 Part 2 of the A2B Shima review will give you info on ride characteristics, results from the range test, pros, cons, and overall thoughts on this e-bike.